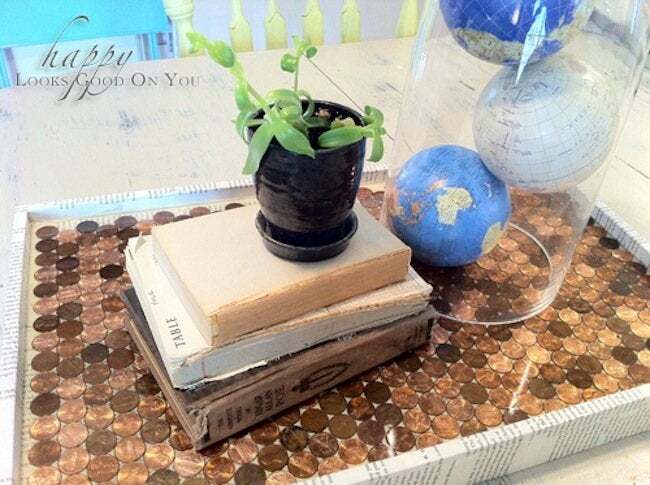 What can you make with a cheap thrift store tray and an extra five bucks? This ingenious new home accent! Meg from Happy Looks Good on You is no stranger to Bob Vila Thumbs Up—here’s her great idea for a concrete lamp. 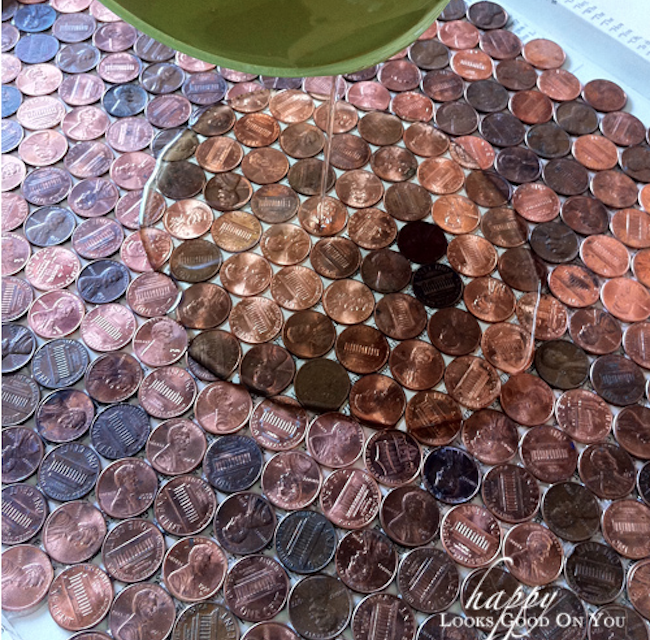 But when we saw her idea for a DIY penny tray, we couldn’t resist nominating her again for another round of the blogger competition. Here’s how you can recreate her simple and fun project! I started with a boring ol’ tray I picked up from the thrift store for a couple bucks. 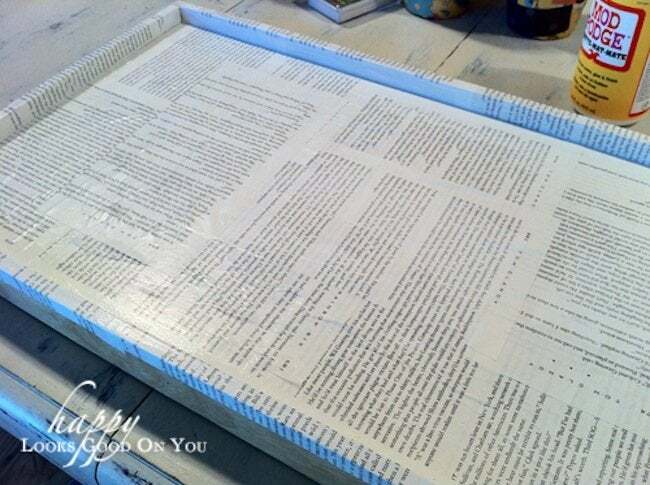 I used Mod Podge to cover the tray with book pages. Using E-600 I glued down the pennies. Yes, I glued each one individually. It really didn’t take that long. I alternated rows of heads up and tails up. 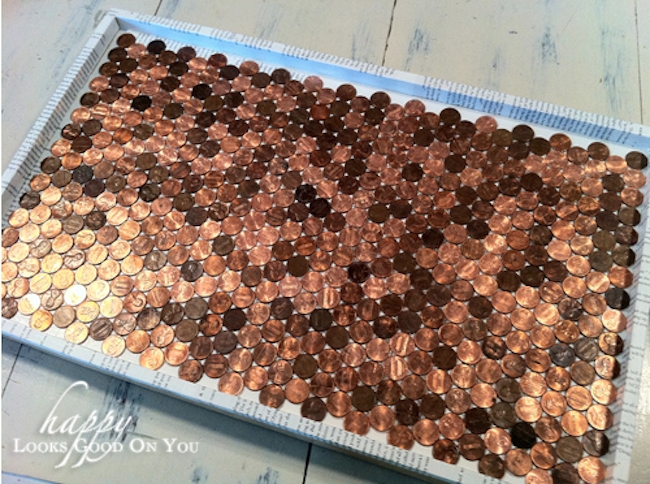 And here is what 481 pennies looks like; can’t put two gallons of gas in the car, but it can make a fabulous tray! Now for the fun part! 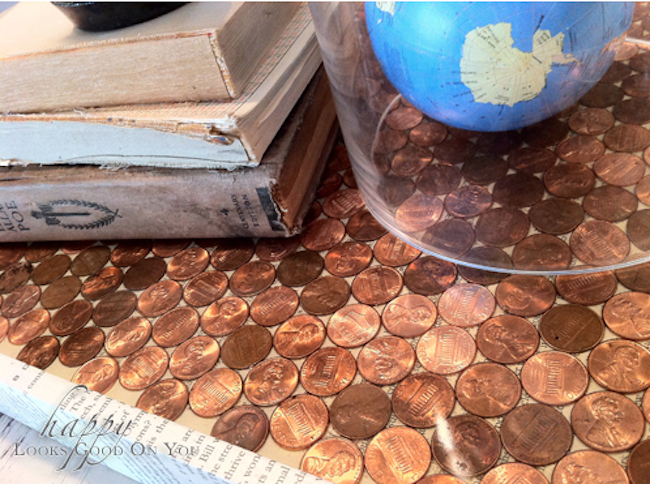 To cover the pennies with epoxy. 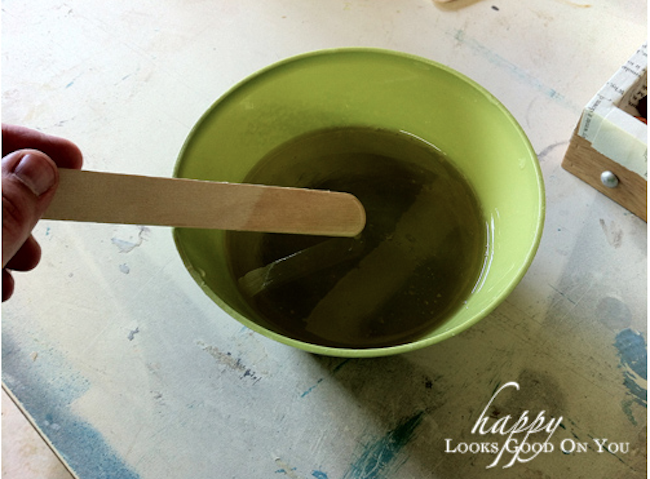 It’s super easy to mix up, two parts epoxy to one part hardener. Once it was mixed really well, I poured it over the pennies. Using a sponge brush, I spread the epoxy to cover the entire top of the penny tray. Then just set it somewhere out of the way to dry and harden for a few days. Thanks for sharing, Meg! For more incredible DIYs you can make this weekend, visit Happy Looks Good on You.